Happy Halloween everybody! The Great Pumpkin has come to town and everyone is having fun. I thought I would share my latest personal project I have been working for the last few weeks. 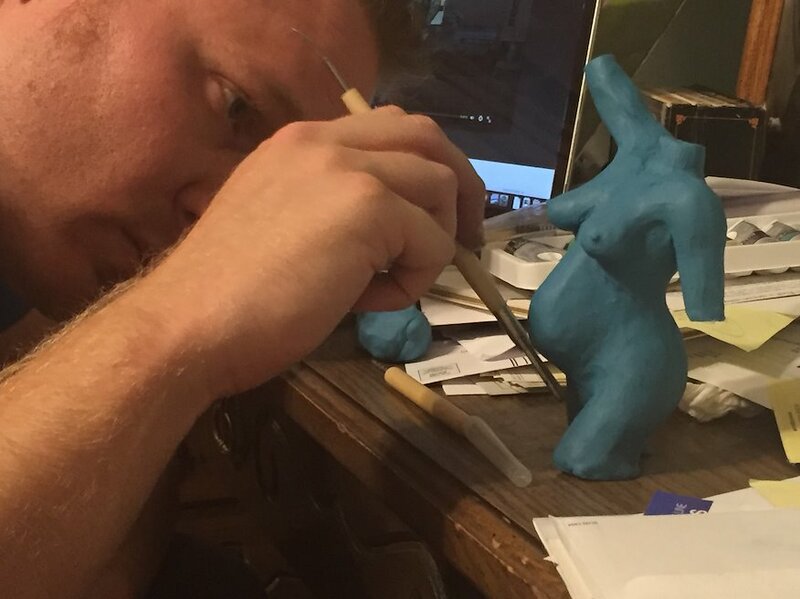 Aside from Illustration work I have done lately which I will post as soon as I get the OK from the clients, I have had a craving to do some real sculpting for a while. 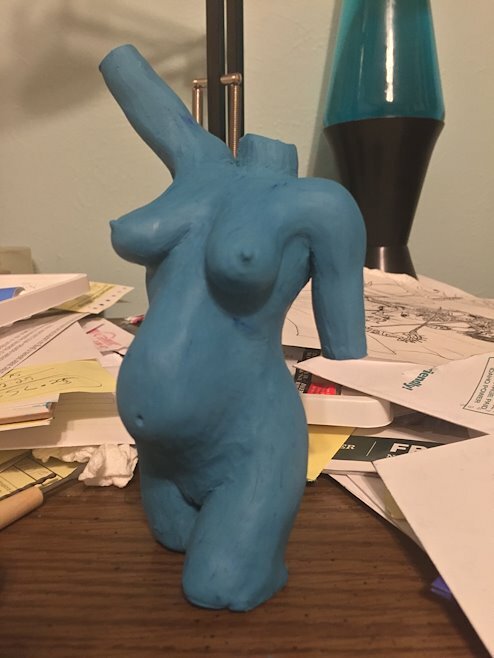 It started one Sunday afternoon, I grabbed some plasticine that I had stored away and started sculpting a female torso for starters, just to loosen myself up. 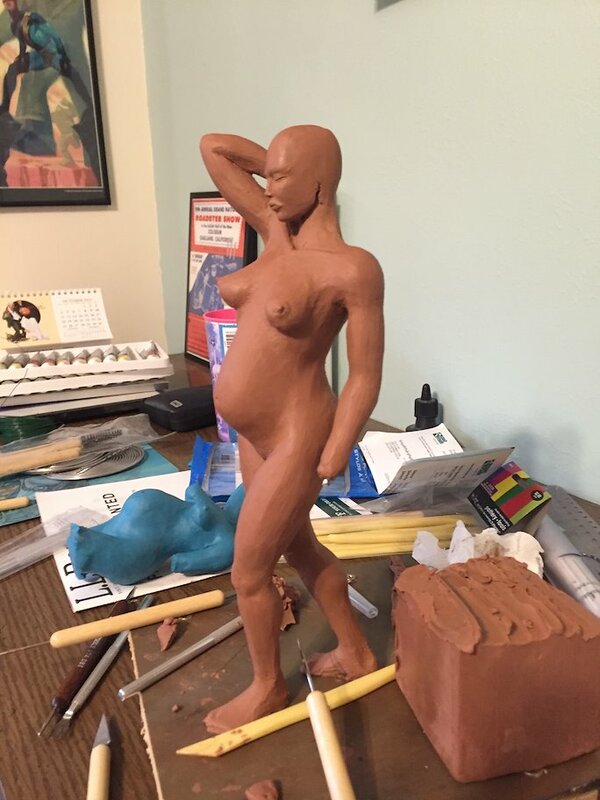 My wife walked into my office and took a look at what I was doing and said, “Why don’t you make the torso a pregnant torso?” I thought about it and added the belly and the maquette took on so much personality after I had done that. 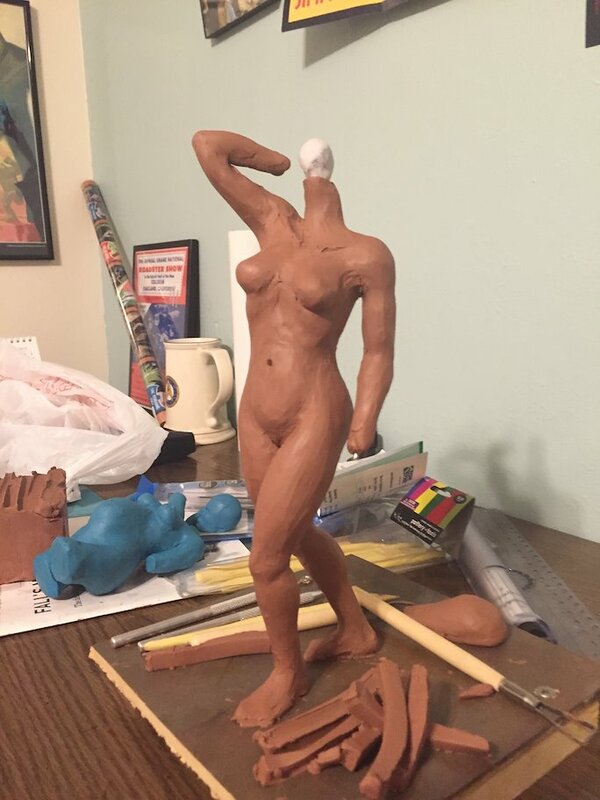 But I wanted to take it further and do an entire figure, I did not have enough plasticine to do that, and I bought the stuff over 8 years ago and I bought it on a whim so I could not remember the brand or anything else. 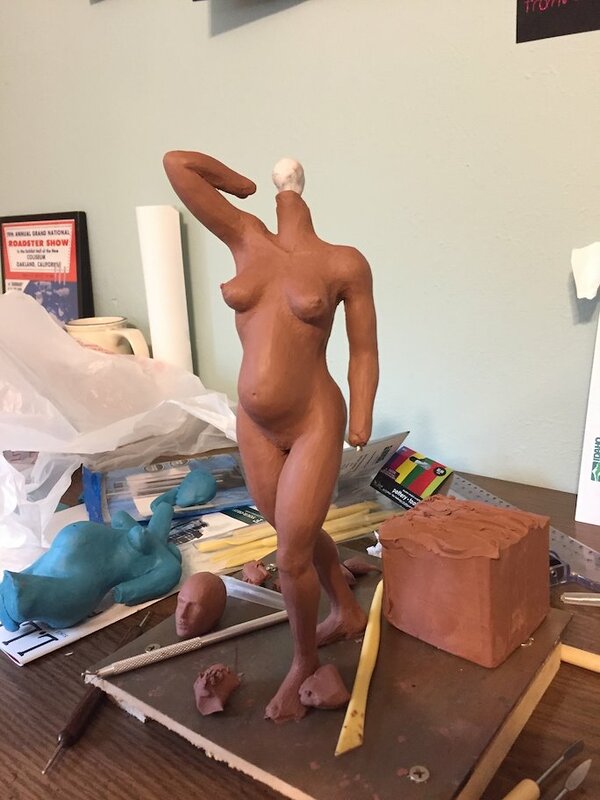 So I bought some Chavaunt clay, about four pounds of it and some aluminum wire and I made an armature with plumbers putty for the joints. 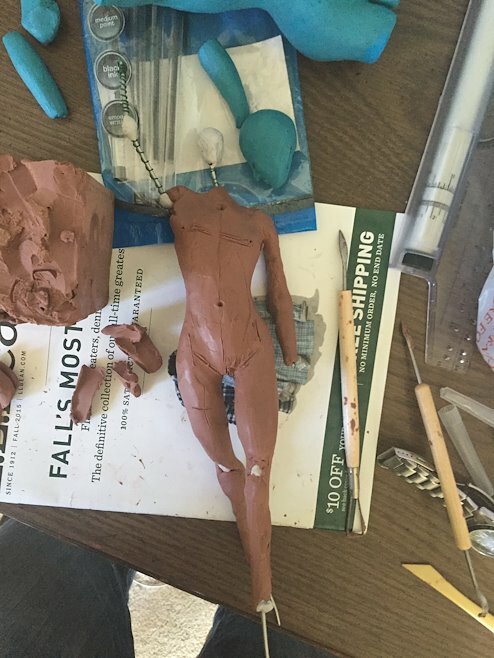 I then wrapped the armature with florist wire, coiling it as I go so the clay would grip the wire. 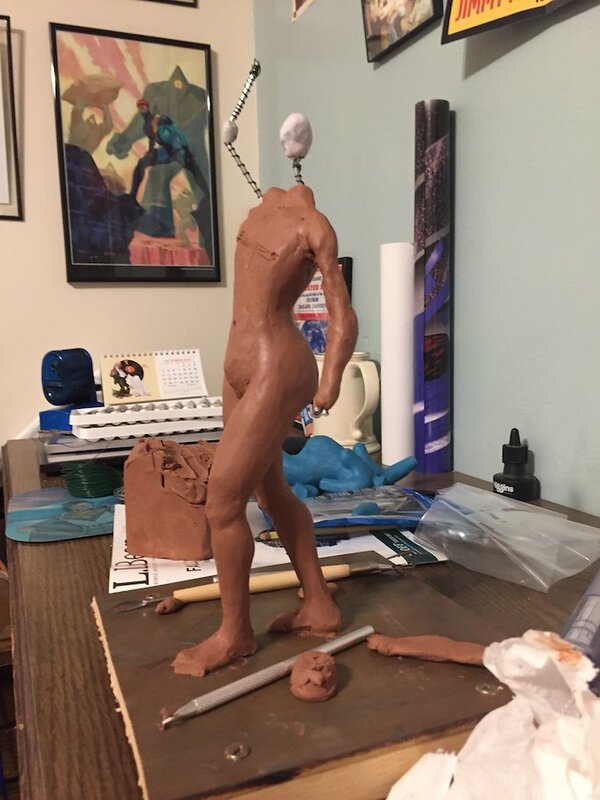 I quickly worked over the weekend making the figure and ever since then for the last couple of weeks I have been slowly working and reworking the standing sculpture. 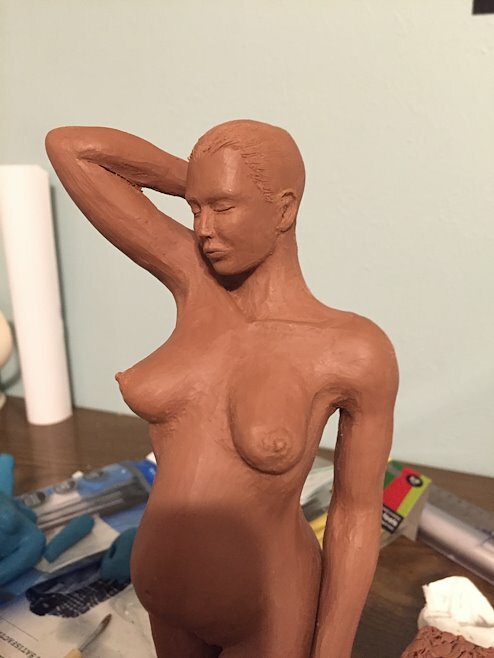 My main goal is to make molds and produce some resin copies and a cold cast bronze. 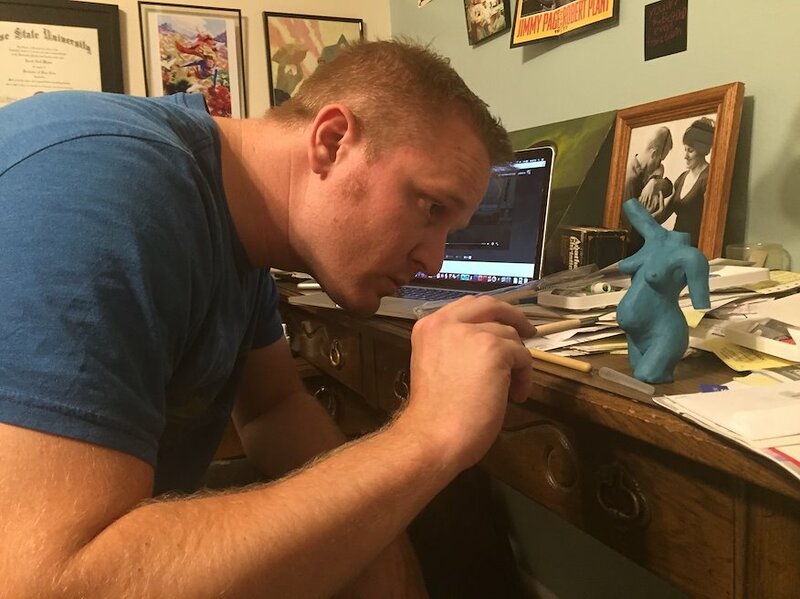 The great challenge with this has been the size and sculpting the details, I find this to have been a fun and relaxing challenge for myself. Thanks for looking!